Jennifer Wheeler | Staff | NSSPlus, Inc.
Jennifer Wheeler has 18+ years’ experience in Information Technology, over 15 years of which has focused on Cyber Security to include Information Security, Risk Management, System Development Life Cycle, Regulatory Compliance, Risk Assessment and Audit. 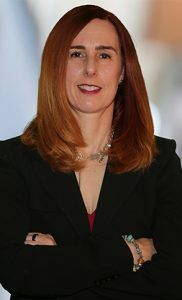 Ms. Wheeler specializes in Information Security Strategy, Governance, Compliance, Data Privacy, Payment Card Industry Data Security Standard (PCI DSS), Risk Management, Security Controls Auditing, Network and System Security, Vulnerability Assessment, Access and Identity Management, Intrusion Detection and Prevention, Cyber Security, Cloud Security, Mobile Security, and Cyber Security Incident Response. Ms. Wheeler has designed and overseen the secure implementation of control frameworks allowing companies to be fully FISMA, DoD & Federal RMF, and PCI compliant. Ms. Wheeler has proven experience in Project Management of Cyber Security programs, Risk Management and Analysis, Cloud Security, and Continuous Monitoring of Cloud Service Providers (CSPs), and defining Security Policies and Procedures. Ms. Wheeler holds a B.S. from George Mason University, a M.S of Network Security from Capital College, Certified Information Systems Security Professional (CISSP) since 2004, Information Systems Security Architecture Professional (ISSAP), Project Management Professional (PMP), Certified Information Systems Auditor (CISA), Certified Information Security Manager (CISM), Certified in Risk and Information Systems Control (CRISC), FITSP-Manager (FITSP-M), and Certificate of Cloud Security Knowledge (CCSK).